Please note: This mattress is supplied on its own, without the pump needed for full functionality. 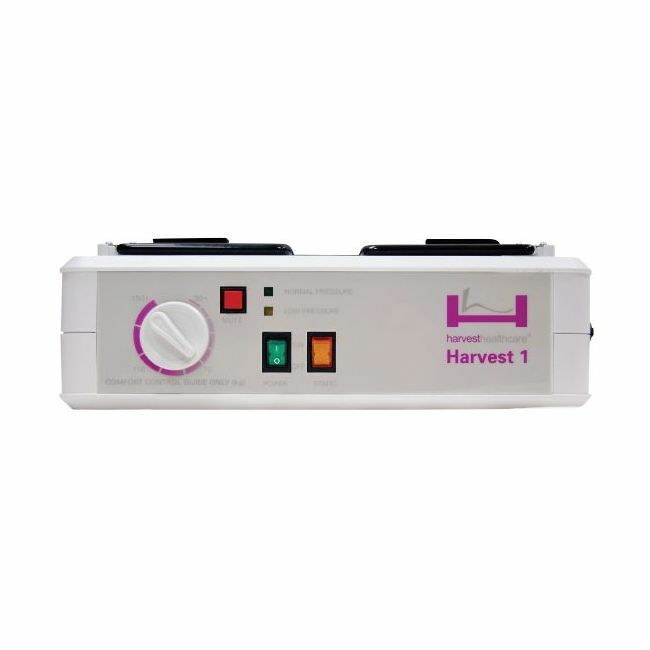 It can be paired with either the Harvest 1 Pump or Harvest 2 Pump, which can be selected using either of the two tick boxes above. For bedbound patients, an appropriate pressure relieving mattress system must be used in order to prevent the development of pressure sores, but the same is often not true for their partners. 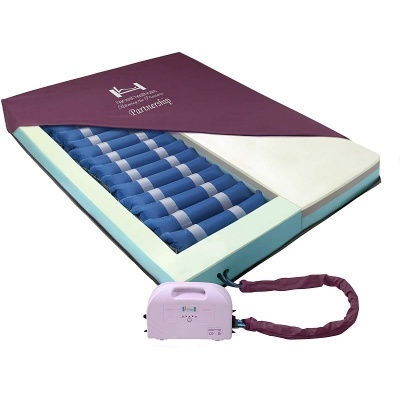 The Harvest Partnership Pressure Relief Alternating Air and Foam Mattress System is a double bed sized mattress made up of both foam and alternating air cells, allowing the patient to receive the benefits of both static and active pressure relieving mattresses in one. It allows one side of the mattress to provide high risk pressure relief for the patient, while the other side can be used by their partner for normal sleeping. This mattress overlay system offers high levels of pressure relief due to its 15 independent and removable air cells that alternate pressure along the user's body. The removable design of these cells makes this mattress simple and efficient to decontaminate, boosting the level of hygiene and making it suitable for a variety of medical environments. Harvest's high quality Visco foam makes up one half of the mattress, and also surrounds the alternating air cells. This foam is extremely comfortable, and also offers the benefit of stabilising the air cells, providing superior levels of stability and sleep quality. The Harvest Partnership Pressure Relief Alternating and Static Mattress System offers a fully flexible design, as one side can be used for normal sleeping while the other side offers excellent pressure relief to suit a patient's normal sleeping arrangement. This means that couples can stay together in bed, maintaining their quality of life.